So a couple nights ago I was looking at Ancient Platinum and I kept thinking to myself that it would never get finished because of how hard everything is to complete. Well, then, out of boredom, I wrote up a flashy premise of a brand new Pokémon game, one that would not only give me good hacking experience, but also give the players something fun to play. So I present to you Pokémon Copper. A cold peninsula controlled by miners, who dig in the region for its rich resources of copper and tin, as well as precious gems. A small group of environmentalists known as The Knights of Odin have sworn to put an end to the destruction of the land, and seek to do so by driving the miners out. However, to fund their goals they rely on illegal methods such as kidnapping and selling Pokémon, as well as robbery and money laundering. A small island to the west of Midgard, which is tropical. Most rumors say a certain Pokémon keeps it that way, and that it should not ever change. It was once home to a tribe of natives who bred Pokémon and who knew of the legendary Mega Evolution method. The name of the Legendary Pokémon who sleeps upon Speartop Mountain in the heart of Midgard. It is said that it once ravaged the once fertile land and plunged it into an everlasting winter. The story also says that a magician sealed it long ago with the power of a Pokémon. The union under which the miners of Midgard are a part of. They together govern the land and address any issues that arise. A member of the Miner's Association who tends to issues that arise in the region. Upon completing missions they may receive pay raises and promotions through medals. The main character. Copper is the boy, Tin is the girl. Both are age 18, and have joined the Miner's Association as an Investigator. The head of the Miner's Association. She is the most powerful individual in the entire land. A Knights of Odin Leader. She carries out missions to drive out miners. A Knights of Odin Leader. She is 2nd in command to the leader of the Knights of Odin. The Leader of the Knights of Odin. Not much is known about him. The commander of the Miner's Association Investigators. She gives you your first Pokémon. Miner's Association secretary. She sends missions to you with the PDA*. The tallest mountain in Midgard. Said to be home of the Lord of the North. The largest city in Midgard. Home of the Miner's Association. A port on the northern shore of Midgard. It is the only place to board a ship bound for the Isle of Frey. The home town of the main character. The southernmost point of civilization in Midgard. Home to the Knights of Odin. A town at the base of Speartop Mountain. It is said the legendary magician who sealed the Lord of the North lived his remaining life there. A western town known for its rich copper deposits. An eastern city that has been depleted of most of its tin. It was the first modern establishment in Midgard and was founded by sailors. A harsh Tundra that is very difficult to cross. It is only possible to cross on foot. Ruins of a kingdom from long before modern society found Midgard. It is believed a legendary Pokémon wrought its destruction. A legendary Citadel that floats in the sky. No one has found it, but it has been reported to be seen by locals repeatedly. I hope to bring some screenshots and a proper game summary soon, thanks for reading! "Sukiyami is so awesome and kawaii"
Very Nice to see you start another project, hopefully this if you manage to finish jaja. About of new features, if you need help to implement the Nuzlocke system I can help you. 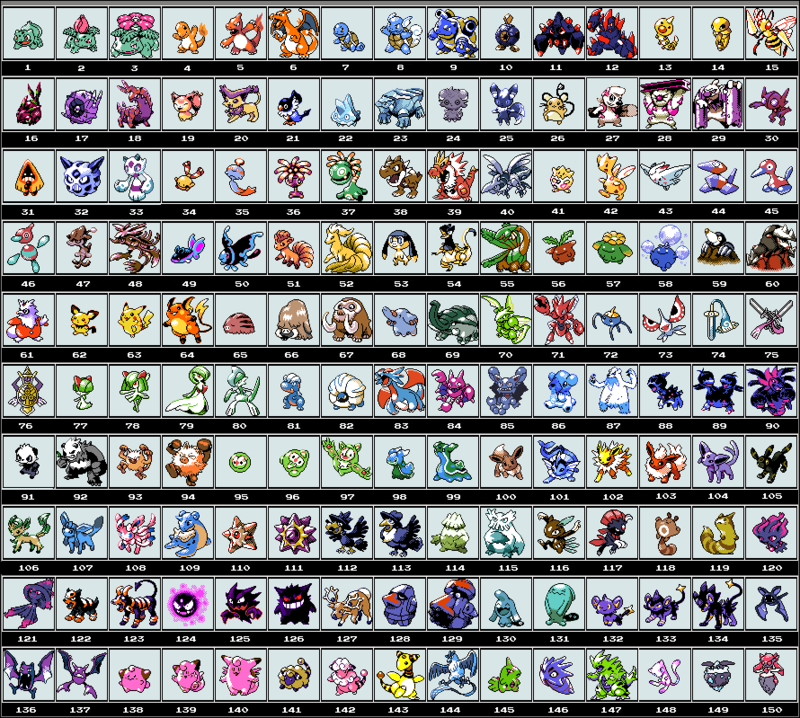 I like your choice in the pokedex, with some exceptions in terms of power (as Remoraid and others). I'll wait to see more of your progress to comment. You plan on implementing Nuzlocke? That definitely got my attention! The whole cold/mining premise is also something very interesting and I hope you continue this project, because I think it will really be a beautiful region/game! Why would it be forced? I personally don't play them but I think they are neat and it would be cool to see other people LP it in Nuzlocke mode. Hey guys, bit of an update on this, I am planning on doing this project in pokered, since I have far more free reign on adding features such as nuzlocke and in general will be a more efficient environment for this hack. EDIT: I've changed up some location names including the region name to fit norse mythology a bit better. Whoa whoa whoa, where's my "Sukiyami is so awesome and kawaii" credits?! Still wondering if anyone has caught the Frozen reference yet. I would like to replace the Hurrdurr Line, any suggestions?